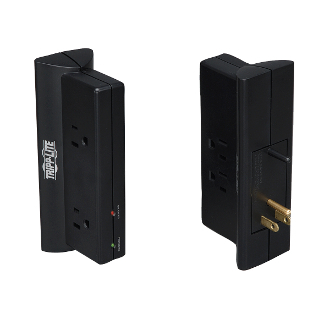 Four AC Outlets Plug-In Surge Protection Device 4- Side mounted AC outlets. 670 Joule rating. EMI/RFI Noise filter. LED Diagnostics for protection and grounding status. $10,000 Warranty with Ultimate Lifetime Insurance. Listed to UL 1449.